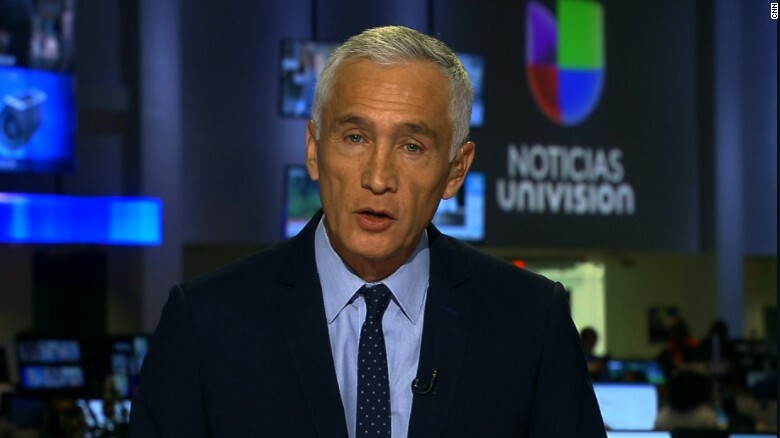 Diogenes' Middle Finger: Univision's Jorge Ramos: "The U.S. Is Our Country, Not Theirs"
Univision's Jorge Ramos: "The U.S. Is Our Country, Not Theirs"
Univision/Fusion Television anchor Jorge Ramos kicked off his participation in the 2017 edition of the Spanish Language network's annual entertainment awards show, Premios Lo Nuestro ("Our Awards") by amping up the conversation on immigration with a tirade of nationalistic identity politics and racially-driven statements of demagoguery. "I am an immigrant, just like many of you. I am a proud Latino immigrant here in the United States. My name is Jorge Ramos, and I work at Univision and at the Fusion network. And you know exactly what is going on here in the United States. There are many people who do not want us to be here, and who want to create a wall in order to separate us. But you know what? This is also our country. Let me repeat this: OUR country, not theirs. It is our country. And we are not going to leave. We are nearly 60 million Latinos in the United States. And thanks to US, the United States eats, grows and, as we've seen today, sings and dances. So when they attack us, we already know what we are going to do. We are not going to sit down. We will not shut up. And we will not leave. That is what we are going to do." Ramos' speech is amazingly strident, with an "us against them" tone that one would not expect from someone who incessantly promotes diversity from the other side of his mouth. When Ramos told the audience that "there are many who do not want us to be here", he erases any distinction between legal and illegal immigration, and irresponsibly casts immigration as an exclusively Latino issue. Ramos would have been in the clear had he stopped at "this is also our country". Such a statement hints at inclusion, patriotism, and a pro-forma desire to assimilate and function as an integral part of the nation as a whole. However, Ramos crossed a bright line when he decreed the United States to be "OUR country, not theirs". Ramos' statement, suggests a separate nationality to which U.S. Hispanics owe some sort of allegiance. Ramos, of all people, should know better than to approach the lines of racial and cultural supremacy.